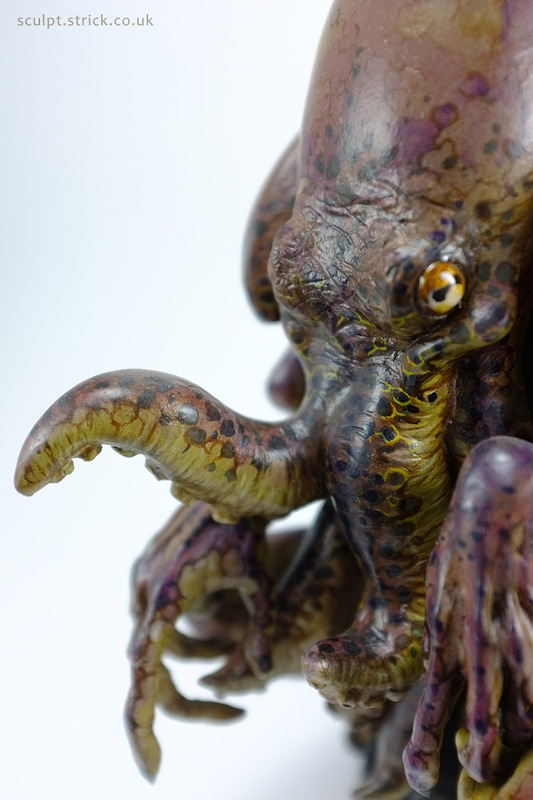 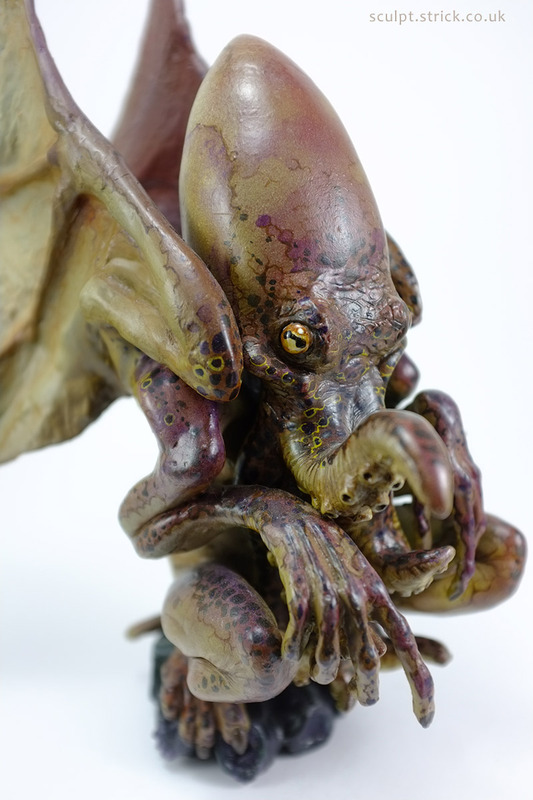 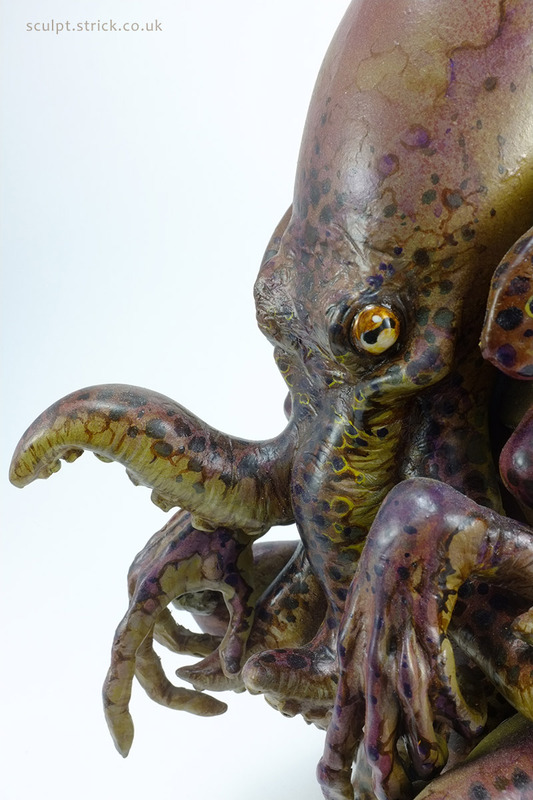 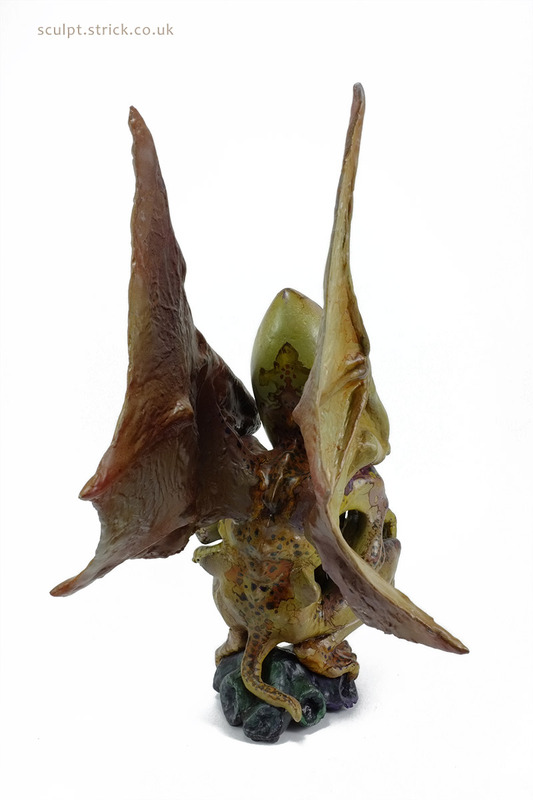 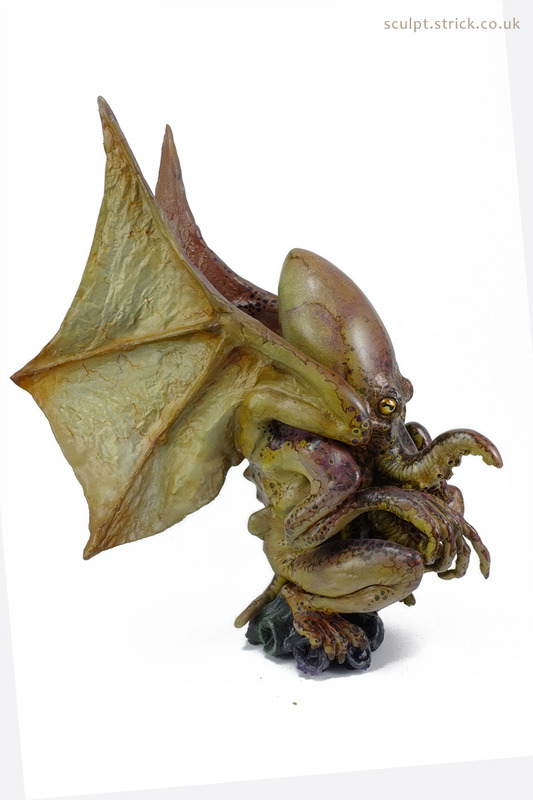 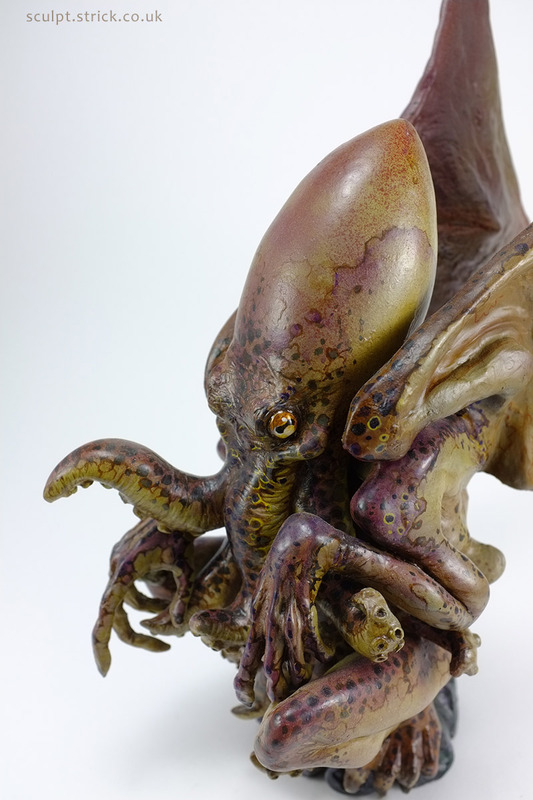 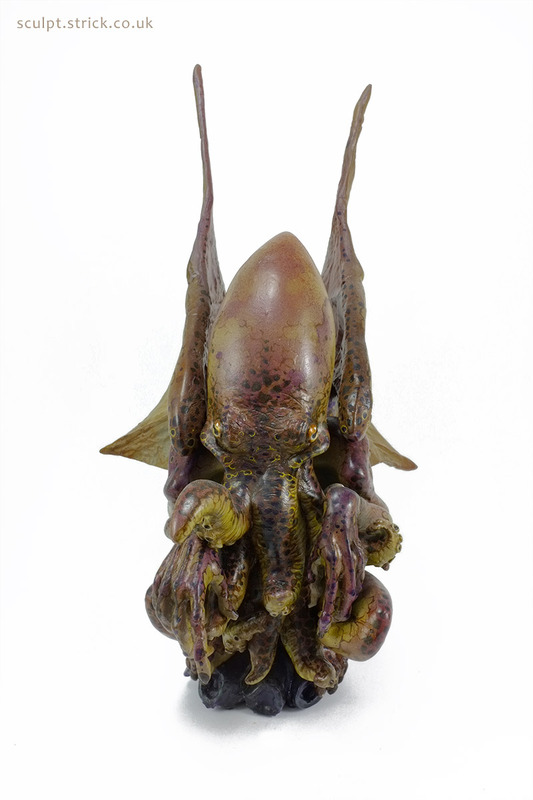 Evan Morgan's Nuketopus resin kit is a fun piece - a slightly steampunk octopus. 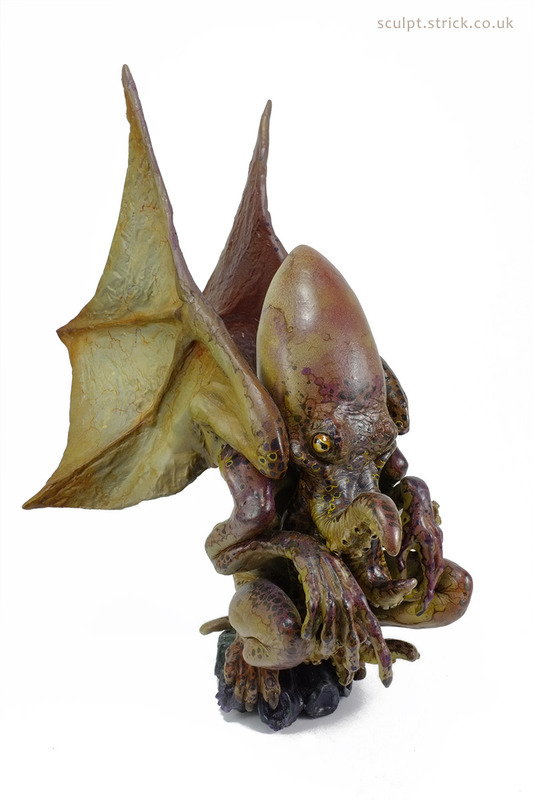 The tentacles immediately had me thinking Cthulhu and I went straight ahead with my instinct. 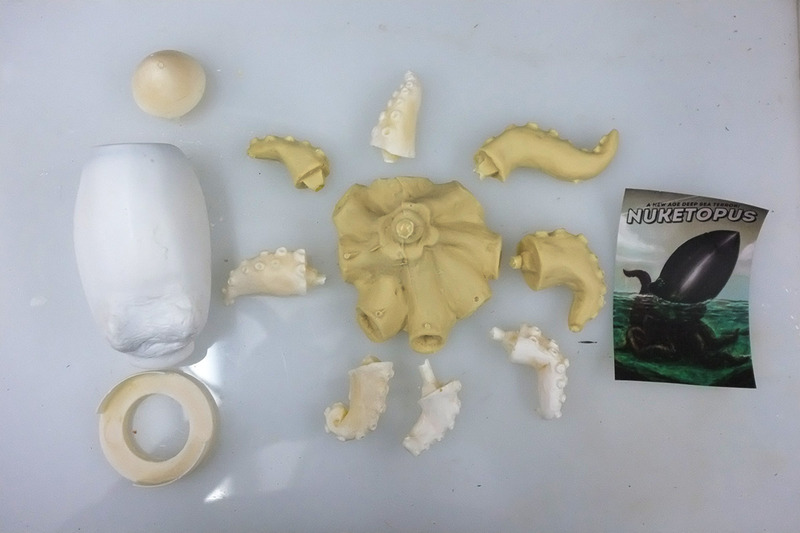 The parts were solidly cast and needed only minor sanding and filling. 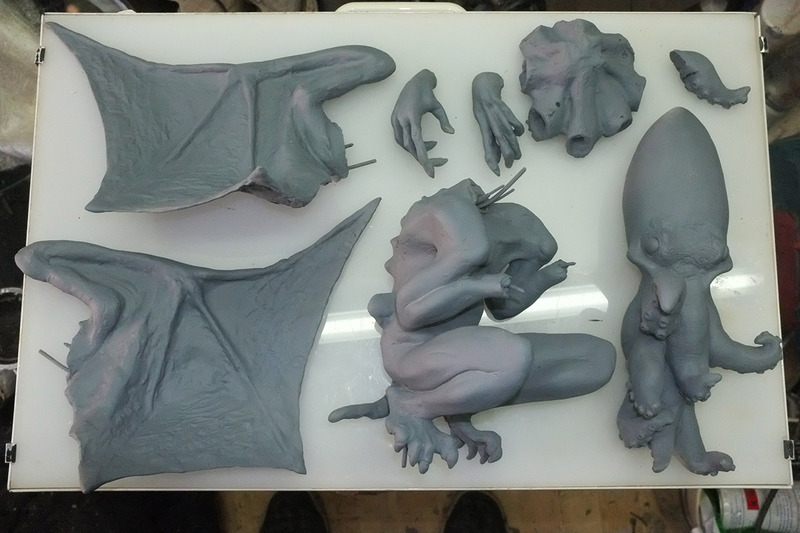 I built the main new elements in Milliput on a wire frame, constructing the piece in a modular style to make it easier to detail and paint. 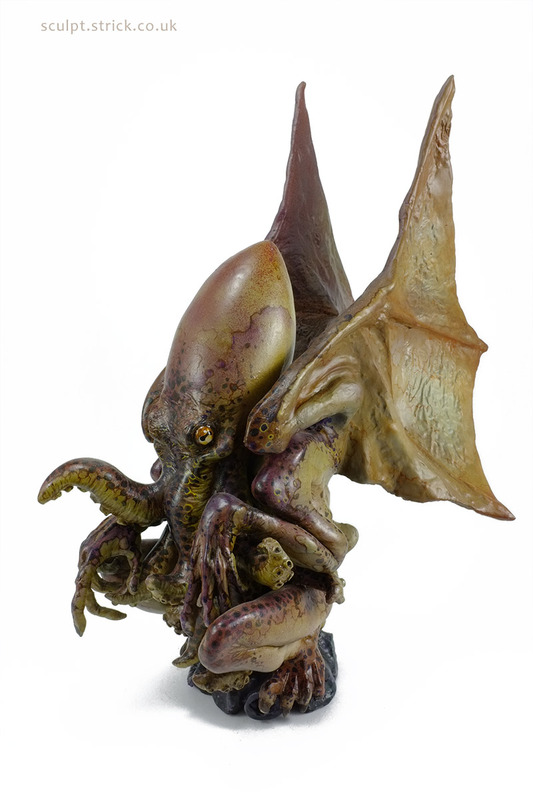 The final piece stands 33cm tall at the wing tips.